I am loving the fact that all of the Resort 2016 looks are starting to arrive. Fashion is so continuous and changing, it never sleeps! We have only just been able to breathe after fashion month, and already the Resort 2016 collections are starting to appear. It's only a few months away from the SS16 Fashion Month… and I am so so excited. 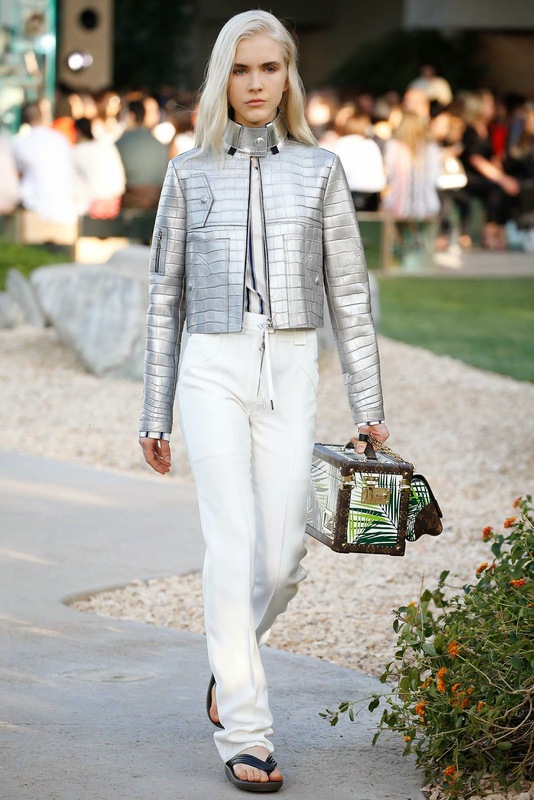 Having recently been obsessed with Louis Vuitton, it seemed perfectly right that Nicolas Ghesquiere has released his collection at this point. For the past couple of weeks I have been constantly looking at Louis Vuitton's website, swell as social media, starting to realise that it's possibly one of my favourite brands to research and write about. Although not one of my favourite collections, this collection certainly met expectations in terms of high end luxury. Having looked at the last few shoes that Nicolas has designed, I am starting to understand his collection and creativity. 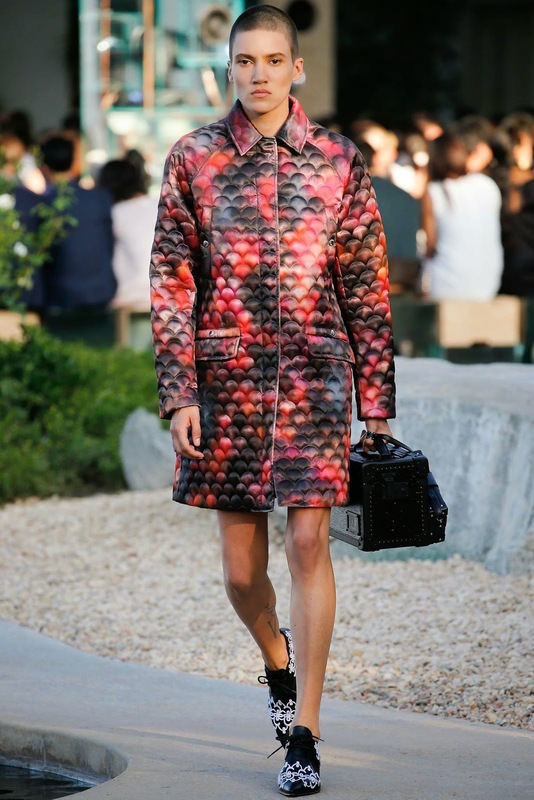 His feel is starting to come to life and I can see this transpire through his collections at Louis Vuitton. Being an accessory and shoe girl, he just never lets me down with his bags for the brand. Featuring the iconic LV monogrammes and design - he adds a new twist every season - which is definitely something I look forward to when looking at his designs. 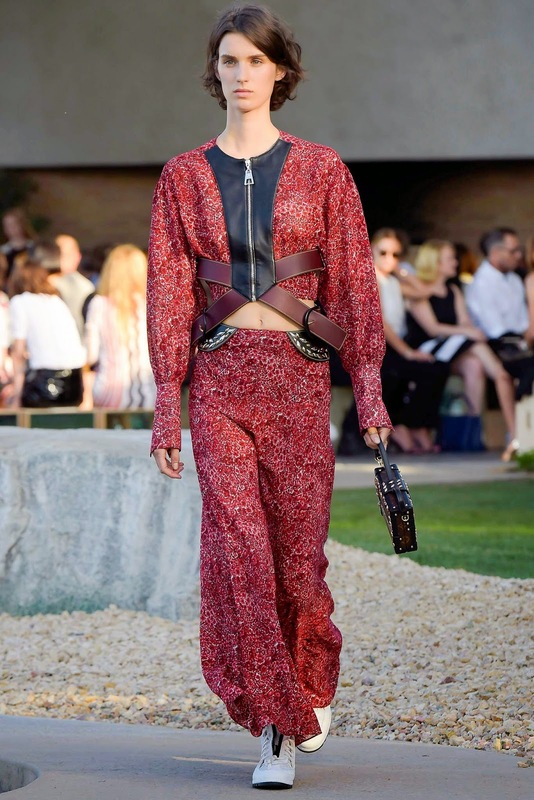 I felt this collection had a very gladiatorial feel, something I wasn't expecting. As previously mentioned in my last post for the AW15 LV Show, Nicolas is genius at creating trends. He was the mind behind bring the A-Line skirts back into fashion only a few seasons previously, so I am almost certain this collection will be a huge influence on the high street fashion, and even for articles in high end fashion magazines. Maxi skirts with heavy boots gave off a contrasting feel between daintiness and empowerment. Both playing on the different qualities of strong women. Clashing prints between the bottom and top half of the looks were also a talking point - which will no doubt make a last impression for the client he had in mind. I also loved the cropped leather jackets in this collection : definitely giving Balmain a run for their money! Seen on this catwalk with both trousers and skirts, this shows that there are just so many ways an investment biker jacket can work for you. This is something that will never ever change. However, it was the hot pants that got the 500 odd guests, being celebrities and fashion editors, talking. Cut super-high and paired with boxy scuba and biker jackets - Nicolas had no limits with showing the flesh with this Resort set. As I said, Nicolas has spent a year at LV making his mark, and it seems that his personality and creative mind is coming through. With this collection, he had brought Paris and California together, proving, he can do almost anything.